Style Theory: Every year the same dilemma, I look for a black ankle boot that has everything; comfortable, flattering, soft leather, the right heel height and will go with every outfit from skinny jeans to dresses and take my feet cosily through the winter months. 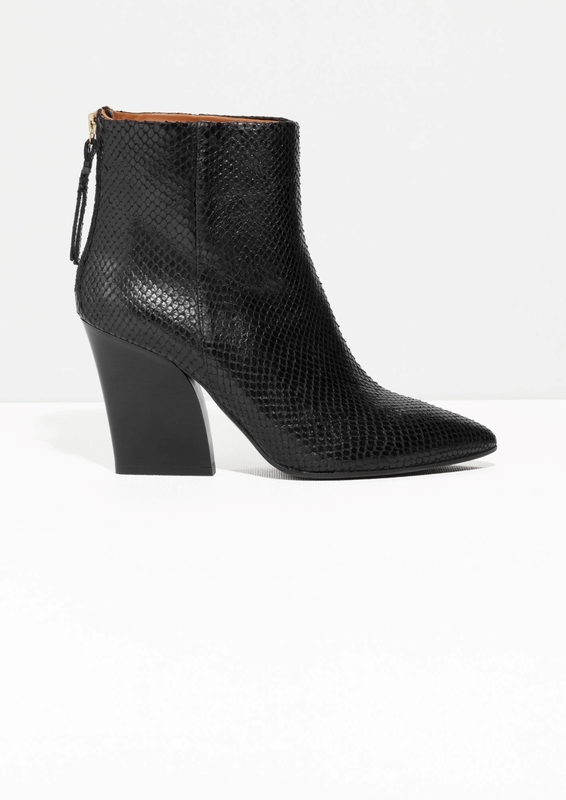 First a few looks that have re-kindled my love and renewed my 'need' for the elusive perfect ankle boot..
Now to my favourites on the high street..starting with the dream pair.. 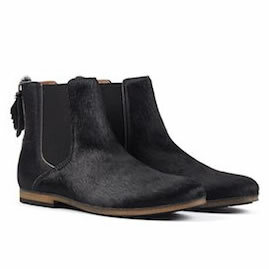 These are my dream black boots but sadly wayyy out of my price range. 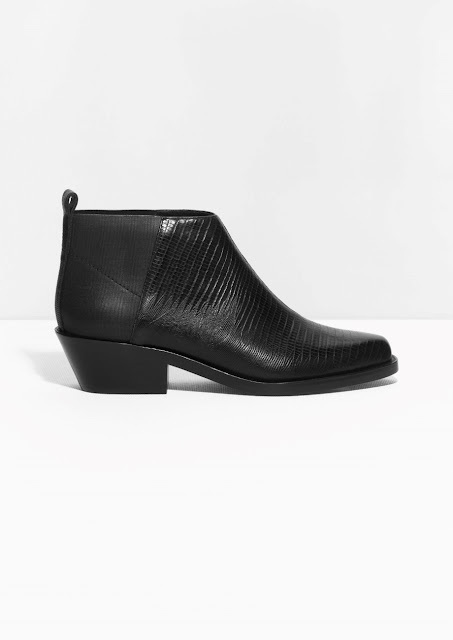 They are the perfect height, beautiful leather and I love the shape of the toe..so on to the more affordable high street ones. Not a bad 'homage' , these boots are definitely on my 'to buy' list. They will look good with 3/4 length skinny jeans (I always chop one pair of skinny jeans short so they sit slightly above the boot..it works for warmer Autumn days..not so good for the winter, that is when I wear them with longer skinny jeans) This style of boots can also work with black opaque tights and a little swing dress. &Other Stories' boot game is strong this season, I cannot decide which ones I want to buy, here is my edit of my favourites.. 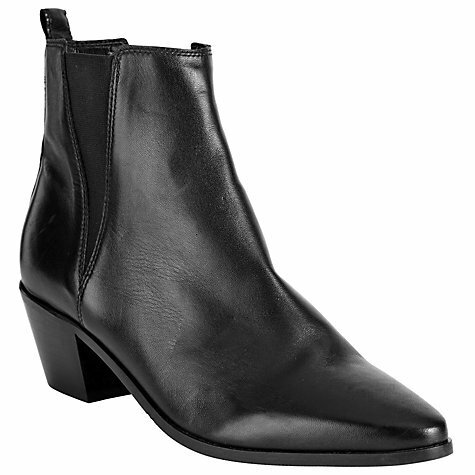 The low cut of these boots will be extremely flattering when wearing these with skirts or dresses they will elongate your legs. These are stunning boots, I love the snakeskin look and the pointed toe. 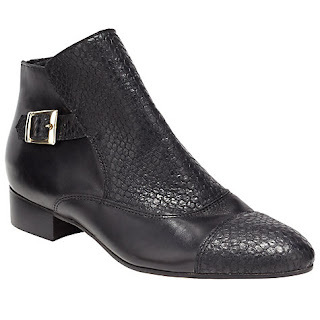 These would be great for an additional 'going out' pair of boots, fab with black skinny jeans and a pussybow/silk blouse for a rock chic look. 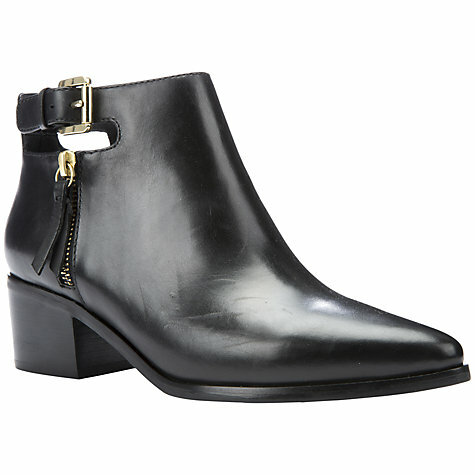 Buckle boots are on trend this winter and these ones tick the trend without looking too clumpy or masculine. 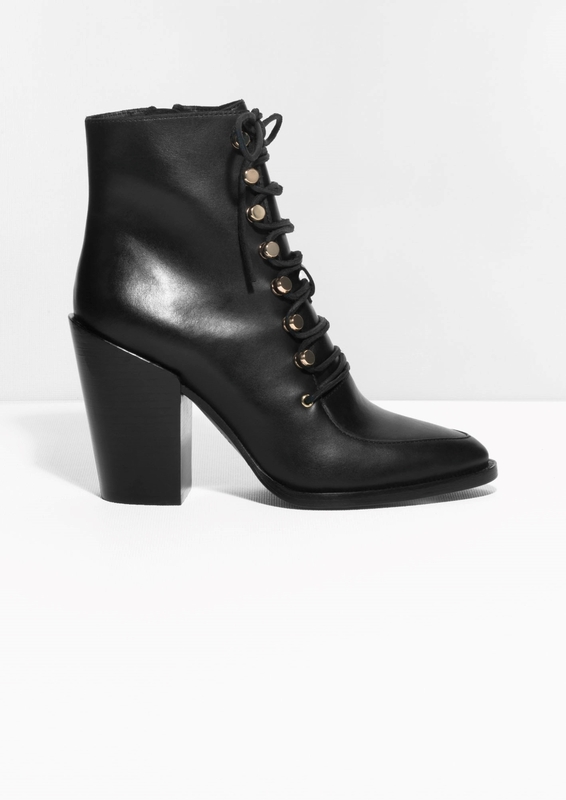 I spotted these and was immediately obsessed, they are a fab 'tribute' to the Chloe lace up boots which I adore but at a much more palatable price. 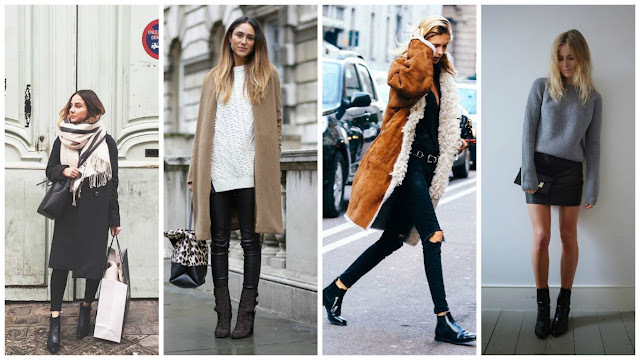 Wear the boots the Parisienne way.. The navy pea coat looks great too..another item to add to the wish list.. I have a few pairs of Geox shoes and trainers and can almost guarantee these boots will be unbelievably comfortable. They will be perfect for everyday and the pointed heel makes them look stylish and delicate, really like the buckle and zip detail too. 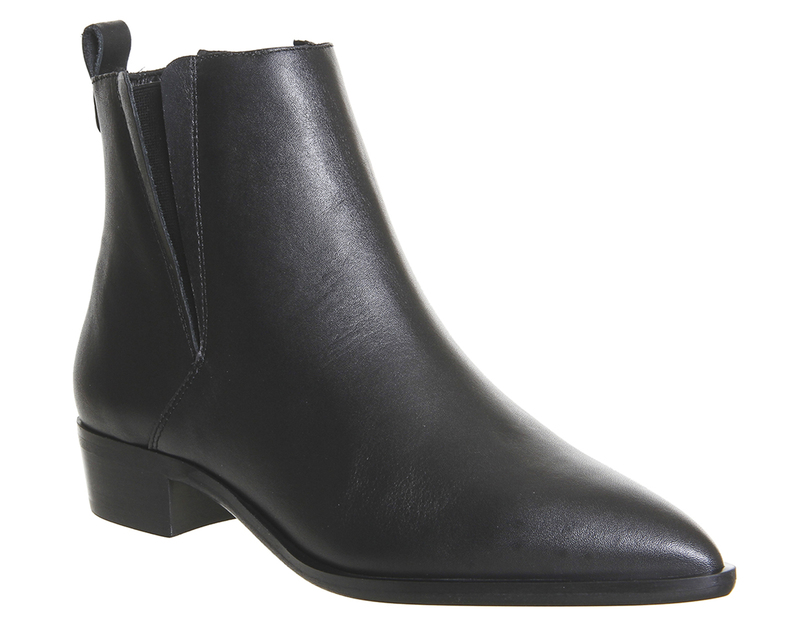 Do you see a theme here, I love a chelsea boot/pointed toe look in soft leather and this boot ticks all the boxes. 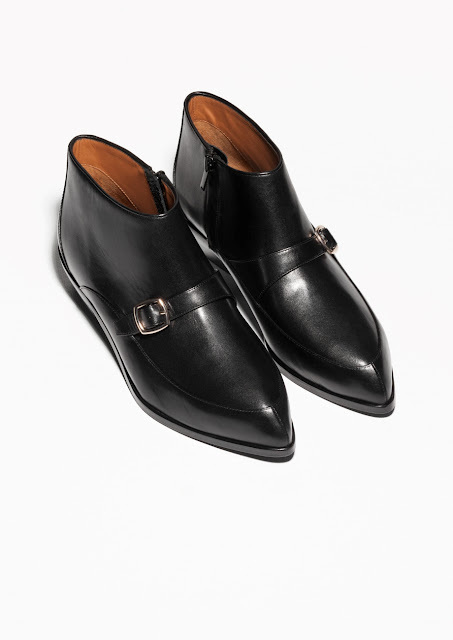 These a little different but completely caught my eye, the mix and texture of the leather makes them look really expensive and again I really like the buckle detail. The fashionista favourite, too high for me for all day but perfect for afternoon/evening out. They are tight on the ankle so perfect for under 3/4 length kick flare jeans..very 2015.. These are like wearing slippers, so comfortable and really flattering on your legs as they are low so sit on your ankle. 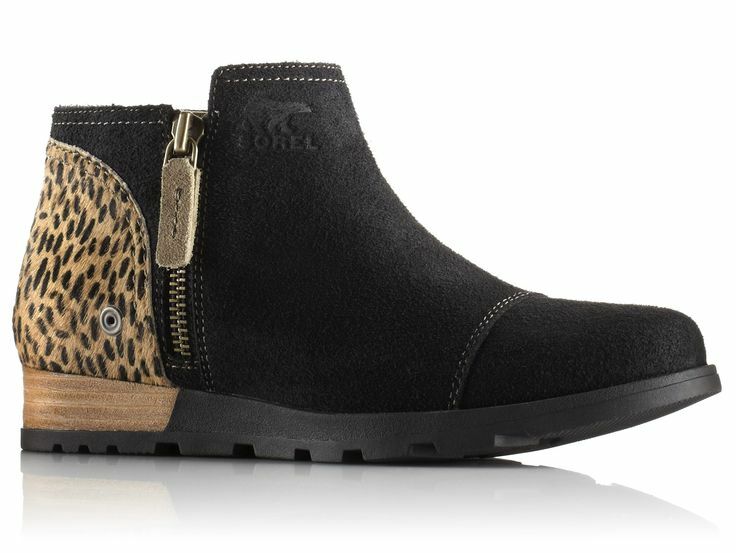 I am wearing them in this photo below and I now have to invest in them, loving the leopard print detail at the back too. They would be ideal for the schoolrun and everyday wear..they will go with all outfits.. These are again super comfy and look delicate on. They are leather pony skin effect, so definitely not to be worn in the rain but kept for crisp, dry Autumn winter days.. I am wearing them in the photo below.. So there is my round up of the black ankle boots that have caught my eye so far this season, I will let you know which ones I buy! 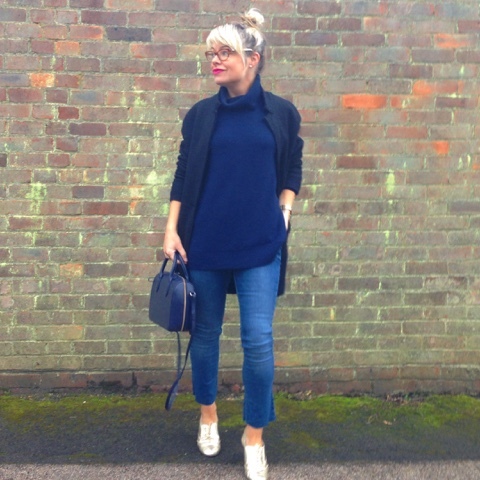 Today for the schoolrun and a local meeting..
Have you already bought your dream black ankle boots, would love to hear if you have found a comfortable, ideal pair, or do any of the boots above catch your eye? 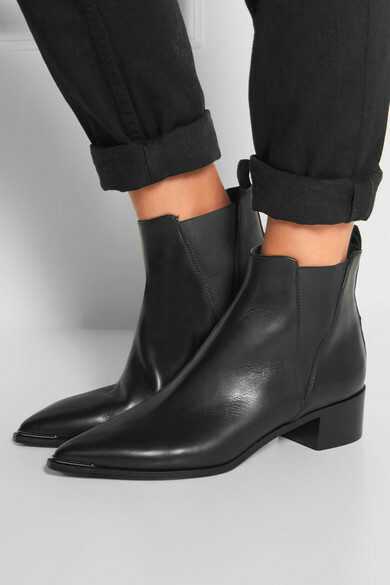 I too am on the hunt for black ankle boots. 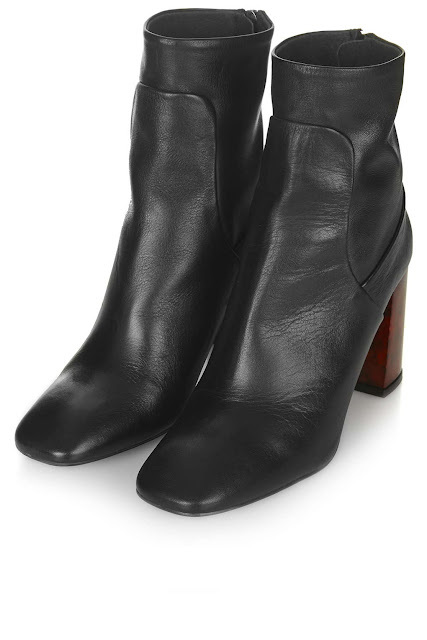 I fancy a low block heel and higher top bit - they have some gorgeous ones at Whistles in patent and suede. Very 90's. Patent ones were very tight and uncomfortable so might have to order in the suede. Still wondering if I should save up for Marant Dickers or get Ash Jess..? love the top shop ones fran!!! Hi, the perfect black ankle boots I bought are form Selected Femme and very much like Acne's pistolboots. I love every single pair you've selected!!! 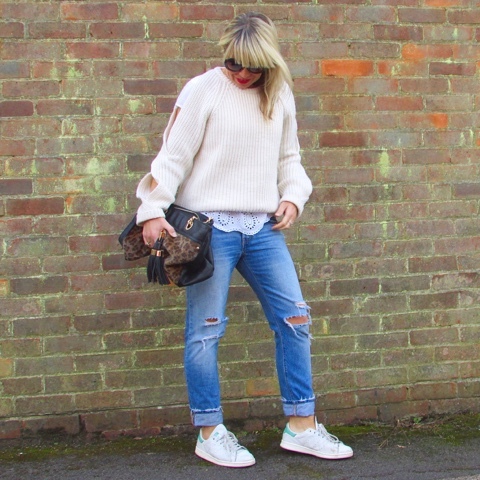 I ADORE the Acne ones but all the high street ones are all so stylish too! best work boots indicates some brands also. Nike,Reebok,Inov are the most highlighted ones. My work wear is such a page from where one can get these item along with other best ones. Each lady ought to possess no less than one sets of boots. The inquiry is: would it be advisable for her to purchase lower leg boots or knee-high boots? This article is intended to help you settle on a choice as to which boots are best for you!